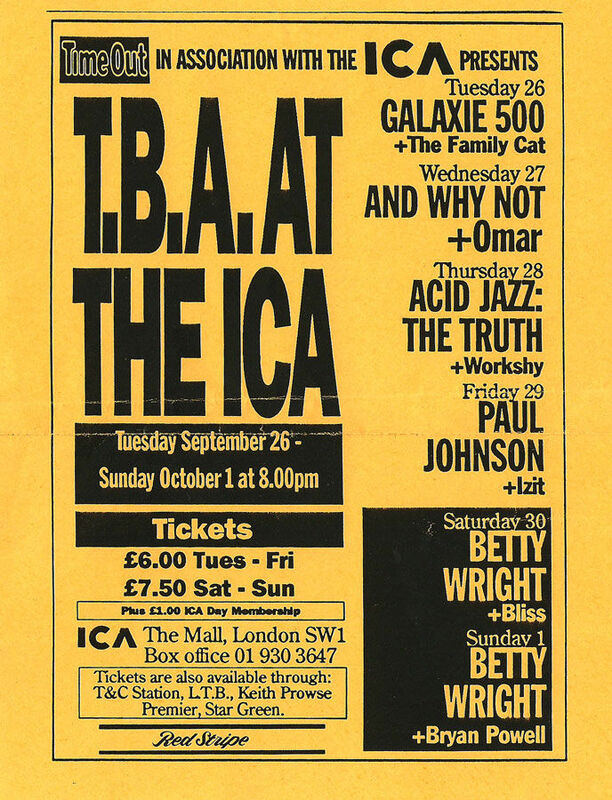 While going through some old photos we found some pictures that we took at the Galaxie 500 gig at ICA together with ticket stubs etc. Can I email to you? My reply was "yes" only with more words and over-excited gibbering. 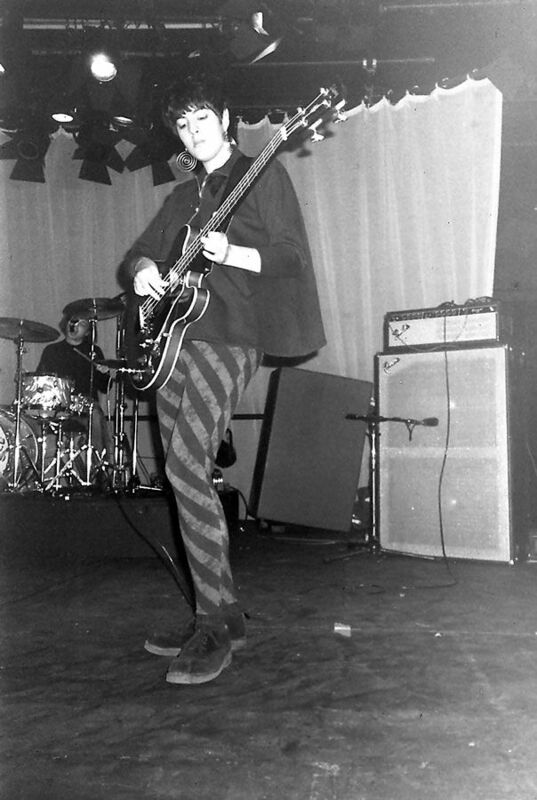 So here are some great pictures of Galaxie 500's first London show at the ICA in London on 26 September 1989 (click on the thumbnail to see the full picture). 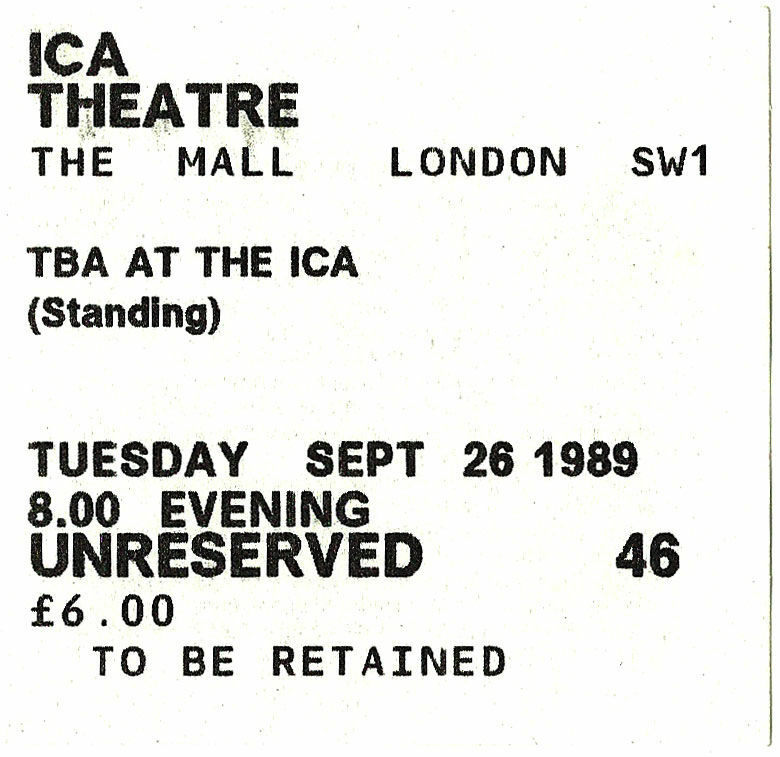 Out first English gig was at the Institute of Contemporary Arts, a show sponsored by Time Out London. A big stage. Lots of people. It was quiet as can be between songs. Does this mean they hated us? No, it means the room was filled with journalists and A&R people and the like. About Damon: the grooviest and most judicious arbiter of swing, violence, and whatever else armoury a drummer needs. Naomi: I thought she was a bit like Peter Hook until Galaxie 500 played New Order's "Ceremony" and it was obvious she was far better. 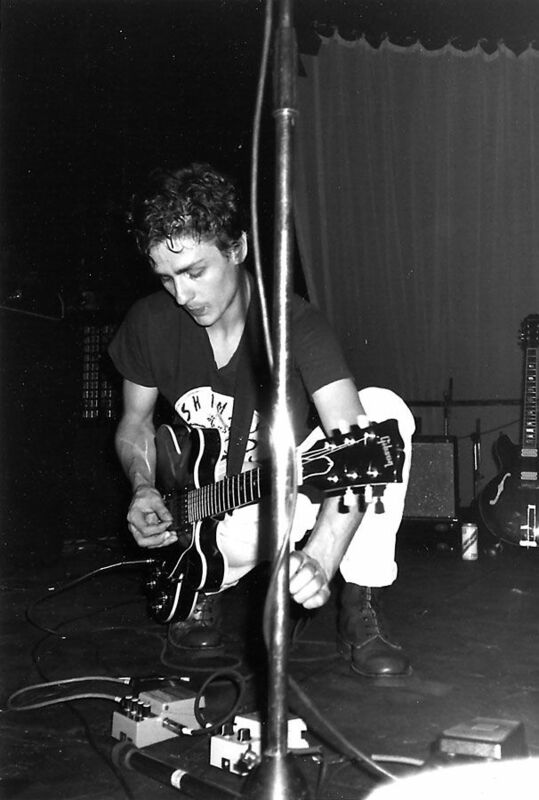 Me: Wareham's guitar and vocals make him the focal point, but one to glimpse rather than gawk at. Shyness keeps him to the side of the stage... [Wareham is] in the great guitarists' Bundesliga. 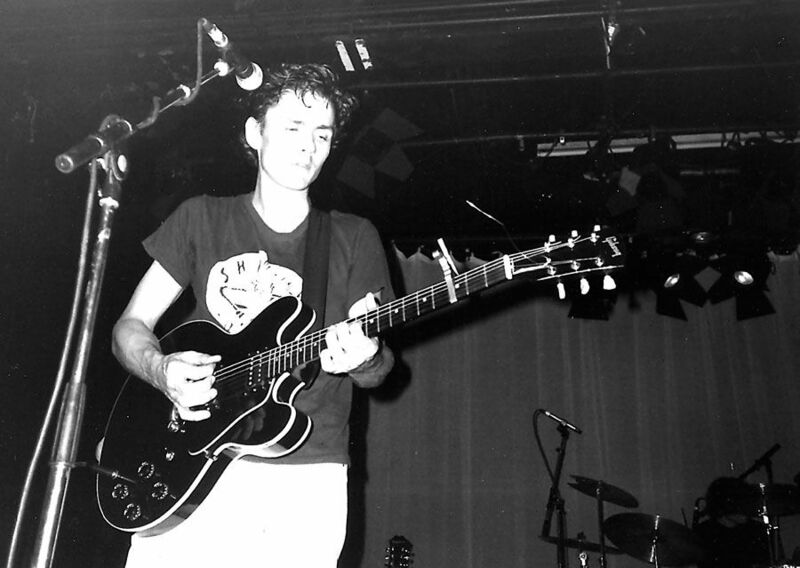 As a bonus here's a recording of Galaxie 500 at that ICA show. 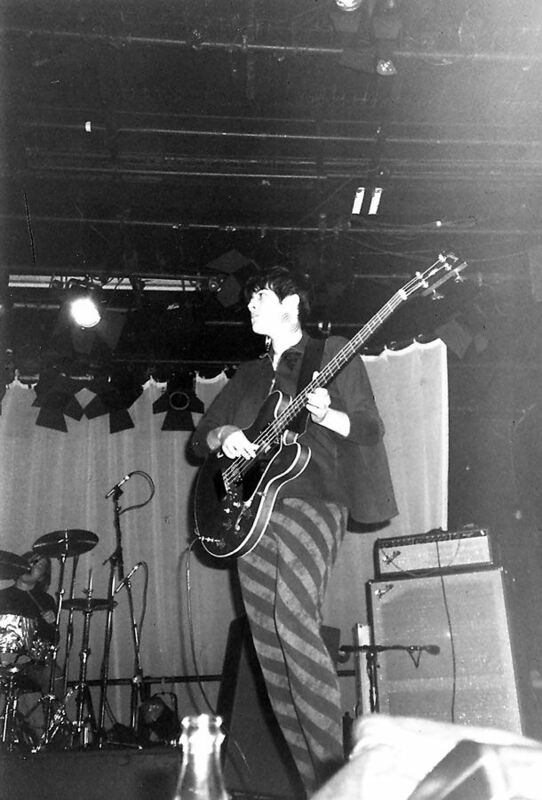 Update: I've just dug out the other Galaxie 500 photos I was sent and popped them on Oblivious - these were from what turned out to be Galaxie 500s last show. If anyone else has anything like this kicking around in a shoebox please, please get in touch!